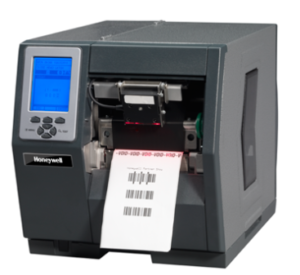 Before you purchase your next industrial barcode printer, read this… | Taylor Data Systems, Inc. The warehouse is a unique environment, in that there’s a lot going on in a number of different directions. From receiving, to picking and pulling, to manufacturing, packing and shipping, the use of technology has enabled us to work smarter, and more accurately. When choosing the kinds of equipment we need to accomplish all these tasks, we want to consider compatibility of each device, how well each device will work with the others, and to what degree of user-friendliness can we count on? Making sure each device speeds up the productivity of your workers is a major priority. 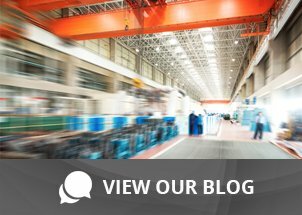 Devices that are in constant need of maintenance, careful operation, and a clean environment are no match for the warehouse or factory floor. Organizations come in all shapes and sizes, with requirements varying at about the same rate. Production volume, size of inventory, number of employees and environment are considered when recommending a specific piece of hardware. The selections are no different! There are various models to choose from, and any number of brands to evaluate. For high-volume, fast-paced warehouse environments that are always on the go, we often recommend Honeywell’s H-Class Family of printers. There are a few models to choose from within the product family, but it’s easy to select the right model based on your barcode printing requirements. You choose one of three print widths (4, 6 or 8-inch), as well as the print resolution (203, 300, 400 and 600 dpi) – this is dependent on the size of the barcodes, size of the characters being printed on the label, and of course, the size of the label. Connectivity: Ethernet, parallel, serial and USB come standard with these models. Other options include wireless 802.11b/g, GPIO applicator card, and more. Construction: Robust design makes it a rugged contender, what with a gear-driven design and die-cast aluminum frame to give it even greater longevity and extremely low total-cost-of-ownership. User-Friendly Display: The graphical LCD display area is considered large for the size of this device (240x230) makes it a snap to select settings, view menus and manage data. Available With RFID: Either today or into the future, the H-Class family supports UHF and HF RFID configurations; providing the security of knowing you’re ready for the future. Lots of options: Field-installable optional features make it a no-brainer. Add a cutter, peel & present sensor, self-powered rewind or even a wireless card if you want … when you want. Trying to figure out which models and features are right for you can be difficult decisions to make. We can help you choose the right device for your application and keep your total cost of ownership low, while productivity stays high. Contact us today for a recommendation on the equipment best suited to your environment, your application and your budget.